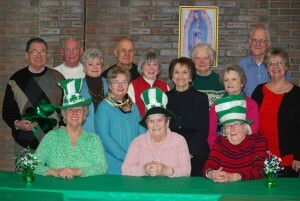 The PrimeTimers mission is to provide a social and friendship network for the seniors of Saint Patrick Catholic Church and support the Sisters of St. Dominic. PrimeTimers meet on the first and third Tuesdays of each month at 5:30 P.M. for socializing. Making new friends and having fun is the focus, and new members are always welcome. All are always welcome. The first Tuesday of the month the group meets in the Fireside Room in the Parish Center for a potluck. The third Tuesday the group meets at Knapp’s Restaurant, a local establishment in the Proctor District of Tacoma. I am in my Prime!